Gerry Clancy was born and reared in Magheramore where his parents, Delia and Jim Joe live to day. Although he was a few years older than me I remember him as a friendly and jovial lad going to school. As a youth and up until his twenties, he was involved in a variety of sports, such as athletics, Gaelic Football, boxing and cycling (track and road) and was to the fore in most of the sports that he participated in. He was a very good athlete and I remember him winning the 880 yards (½ mile) nder 14, at least two years in a row at the Oughterard Sports in Wellfield back in the mid sixties. Included in the opposition at that time were some other noted ½ milers such as John Healy, Kevin O Connor and Raymond Lee. He also represented Oughterard in Athletics generally, as well as being part of our team that ran the Cross Country Championships for a number of years at the Racecourse in Tuam. As a footballer he was noted for his defensive capabilities and could raise his game as the quality of his opponents challenge demanded. His usual position was corner back. Gerry represented Oughterard at all levels (under 14, juvenile, minor, under 21 and up to junior level). Oughterard had no senior team at the time and the intermediate grade hadn’t yet been introduced. Gerry was one of only three county boxing champions for Oughterard in 1969. Prior to 1969 Oughterard had only one County Championship winner and that was in 1966. In these present days of numerous county and provincial champions in Oughterard it may not appear to have been a major achievement until it is realized that the standard in County Galway, at the time was very high. Many good boxers from Ougterard failed to get past the county championships, and either gave up boxing or continued on, with some making the breakthrough in later years. I remember him competing against George Lally from Sligo, a noted cyclist, and Tom Gavin from Magheramore at the annual sports in Wellfield. Tom Gavin, at the time, had competed in the Rás Tailteann for a number of years. Geerrry also competed in many track and road races up and down the country with varying degrees of success. When he returned from working in England, where he had spent three years or so, he took over as trainer/coach to the Oughterard Boxing Club when Johnny O Connor had retired. This was about 1978. 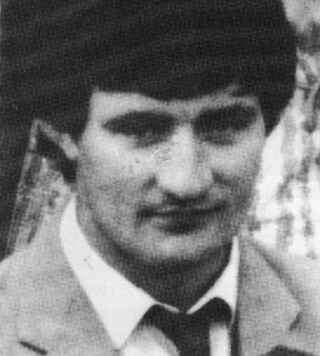 Like his predecessor he put a lot of his time and energy into the sport, and also had numerous county and provincial title winners and one Irish champion, when Alan O Connor from Old Chapel won the Irish Juvenile Title in1983. He also served as coach to the Galway Boxing team for a number of years for home and way tournaments. Gerry the GAA Coach His untimely death in July 1986 at the age of 34 was also felt by the Oughterard G.A.A. Club. He had been a selector of their Gaelic football teams for a number of years, a role he gave his total commitment to. He enjoyed the arguments, banter and post mortems associated with such things. I remember after a certain match in Oughterard having a very heated argument with Gerry and his father Jim Joe who were both selectors at the time. I had my say, and they had theirs, and there were no punches pulled either. The rest of the foot-balling crowd had gone up to the pub, or gone home, and left us at it. There we were arguing back and forth with no one winning, and there was no conclusion in sight. Gerry suggested that we go up to Keoghs pub for a few pints and forget about it for a while. I told them I couldn’t go to the pub as I had no money with me but that I’d go and get some and join them later. Gerry was having none of it, and said that anyone who said straight out what he had to say about him, like I had, didn’t need money for a few pints while he had enough money in his pocket. I went with them to Keoghs and, when we sat down together, the looks we got from the foot-balling crowd were looks of amazement. Here were three fellows, who earlier had been arguing fiercely, now having a good laugh and drinking pints of Guinness as if it was new milk and as if there was no tomorrow. After a few of the tastiest pints I ever drank I decided to leave although Gerry wanted me to stay for “ At least another one”. I told him that I would, only that if I had another one, I’d have reached my point of no return: in other words from there on as Freddie Mercury’s song goes “ Nothing really matters to me”, and then I’d never want to leave. Gerry’s wife Rose, is still a prominent officer member of the Oughterard Boxing Club and all of her sons have been involved in boxing over the years with the Club. Their youngest son Gearóid, is still involved and is a great prospect at present. Seán, Kevin, Rory have already shown their mettle and competed at county, provincial and national level over the years. Like their father they too are all round athletes and along with their sister Geraldine, they have also worn the Oughterard football jersey with pride and distinction. Such a legacy is a tribute to the man who had such a short life but yet managed to pack so much in to it. Go ndéanfaidh Dia trócaire ar a anam Dhílis. This page was added on 03/12/2010. George Lally was from Castlebar, a great cyclist, and a great character of Castlebar town.R.I.P.